Located in Nedumangad, Koikkal Palace was established by Umayamma Rani of ancient Venad Kingdom. 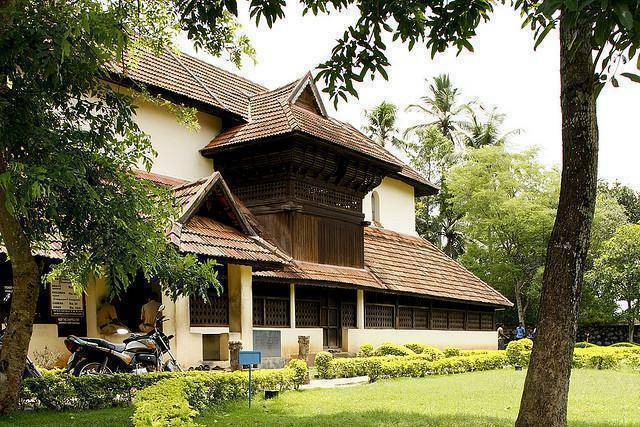 Tourists can have a tour of the palace which was built in the traditional “Naallu Kattu” style of Kerala Architecture. A Folklore Museum and Numismatics Museum are housed within this Koikkal Palace. All types of coins from across India like Gwalior Royal Kingdom, Nizam of Hyderabad, Tipu Sultan and tiniest coin, Rasi are showcased in the coin museum. Umayamma Rani’s Thaliyola (Old Manuscript) and Anklets are also exhibited in the Museum.